The roomies entered a contest to win a trip to Napa Valley! 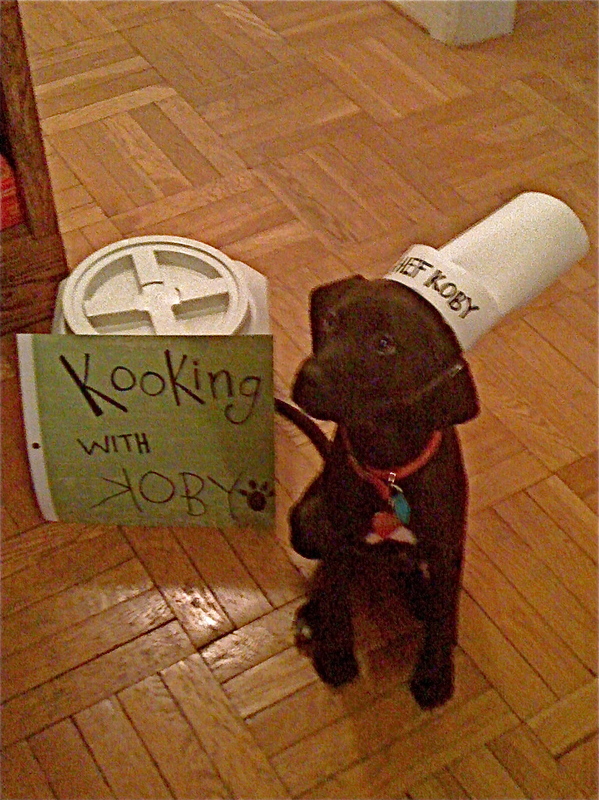 To enter they had to make a two-minute cooking demo and theirs featured Rachel’s new puppy, Chef Koby! Rachel had discovered Koby’s talent for cooking one day, so they taped her making her specialty, pistachio pesto. Don’t let the cuteness fool you. 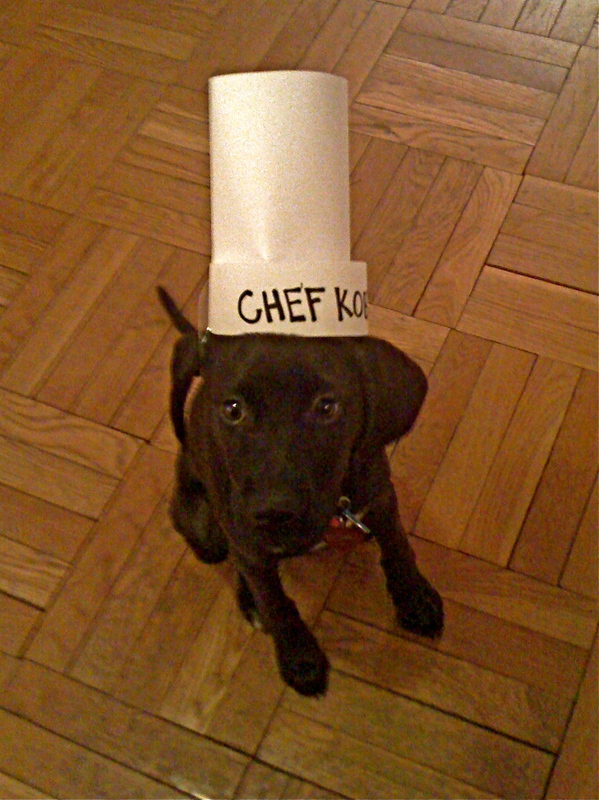 This pup means business in the kitchen. The finished product. 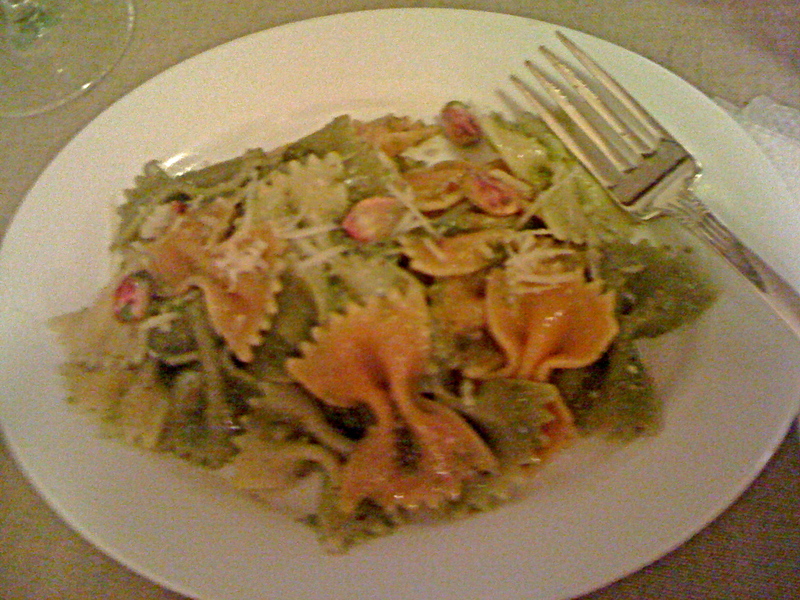 Delicious Pistachio Pesto Pasta. Koby’s a natural. Help Rachel and Brian win their contest! Check out the video and click the “like” (thumbs up) button to vote. On Wednesday American hosted their wellness fair, where vendors from various health companies promoted their services and gave the students some valuable health tips. 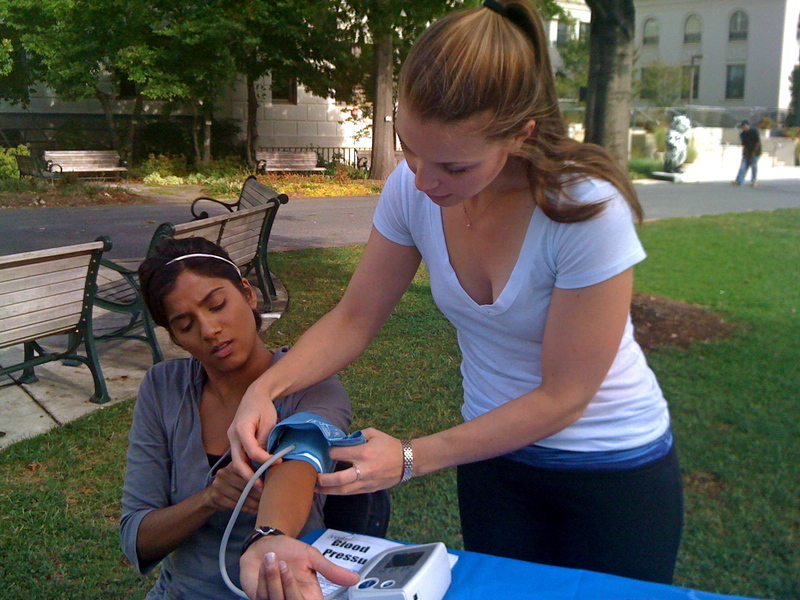 We had a table set up to give health screening tests including blood pressure, flexibility, body fat and grip strength. Hard at work getting blood pressure taken. These tests were a definite eye-opener to a lot of students! I hope we motivated them to make some healthy changes. Madeline Visits and adventures in Georgetown! 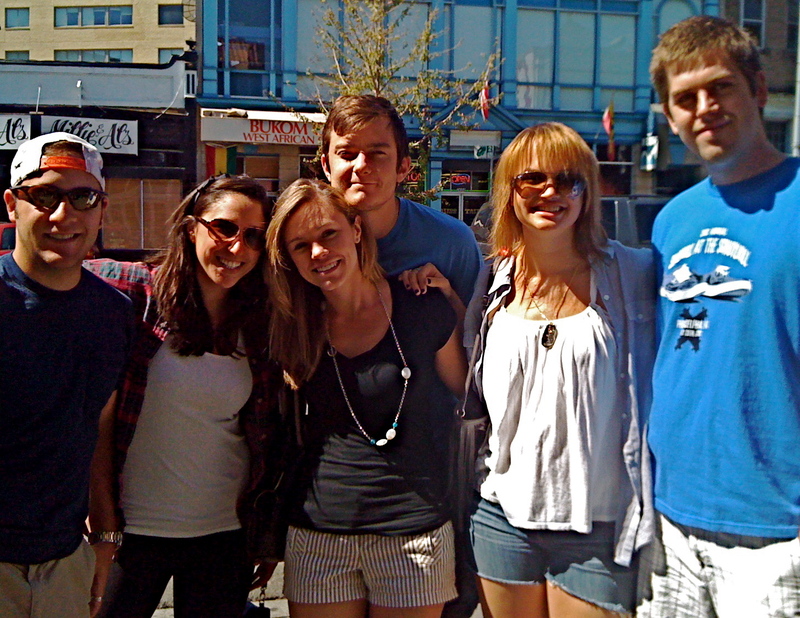 Our good friend Madeline visited from Philly and made our weekend much brighter. 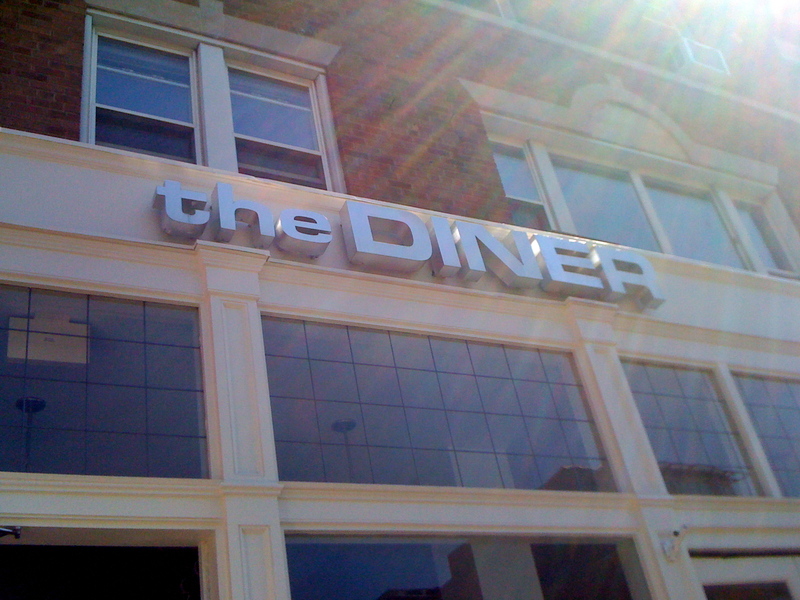 We had a fun night out in Adam’s Morgan and a fantastic brunch there the next day. Adam’s Morgan in the day. Such a diverse and fun area. That same day, Danielle and I went on a journey to Georgetown to enjoy the weather and the sights. 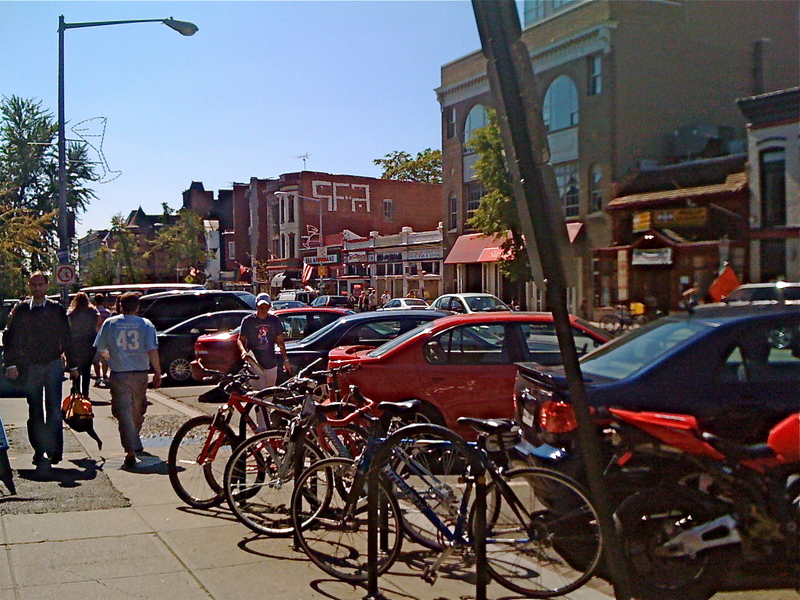 We hiked the 3 miles from my place to Georgetown and walked the streets for some shopping and much-needed catching up. 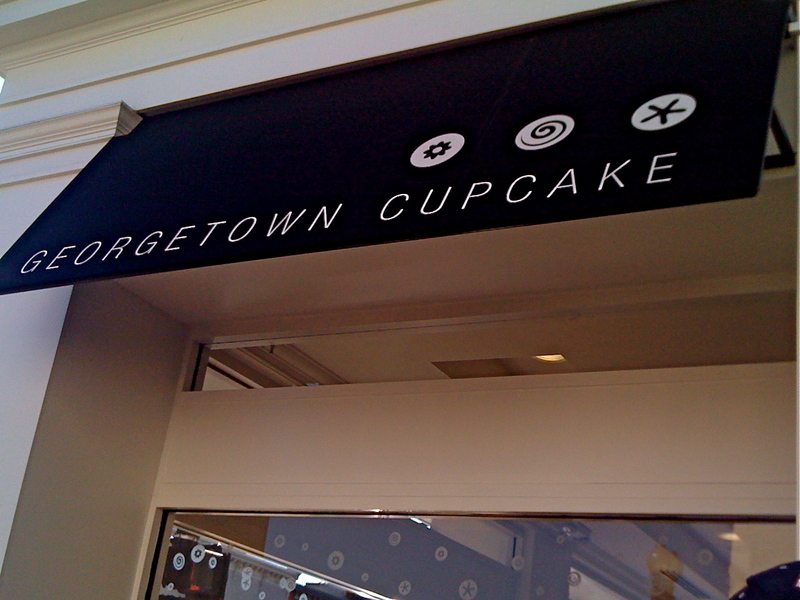 As per my brother’s fiance’s request our first stop was to the famous Georgetown Cupcake! 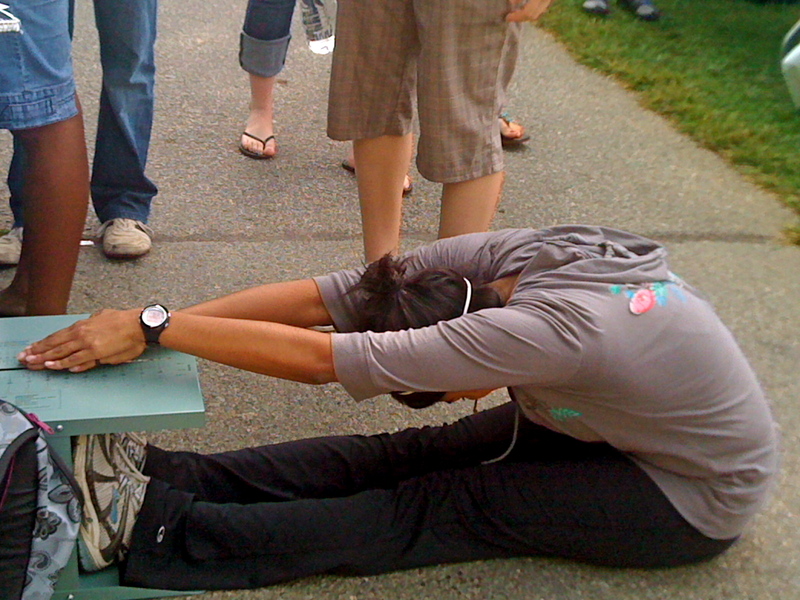 There was just one thing in our way….or should I say hundreds. 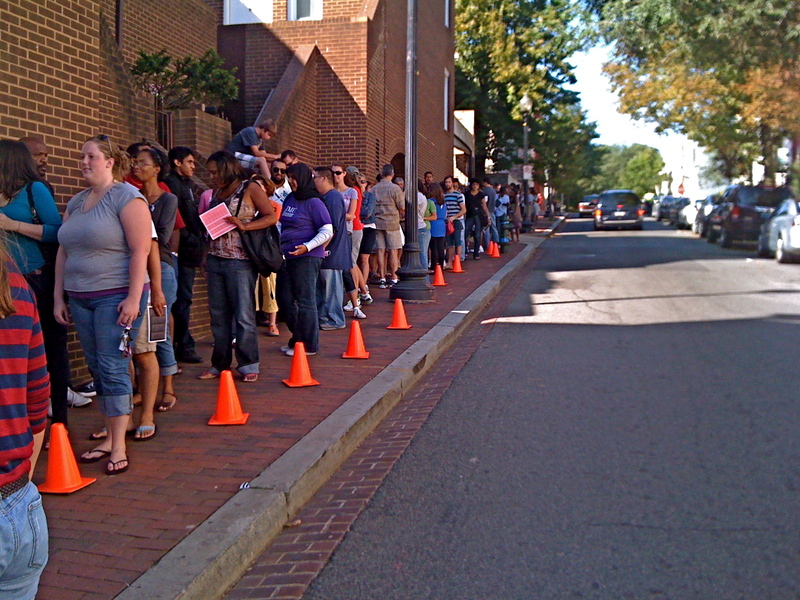 This was the line to get in! As much as we wanted to see what the hype was all about we weren’t waiting in the line, so we opted to go to Sweet Green, a great salad and fro-yo place. I had never tried it before but heard good things so we stopped in. 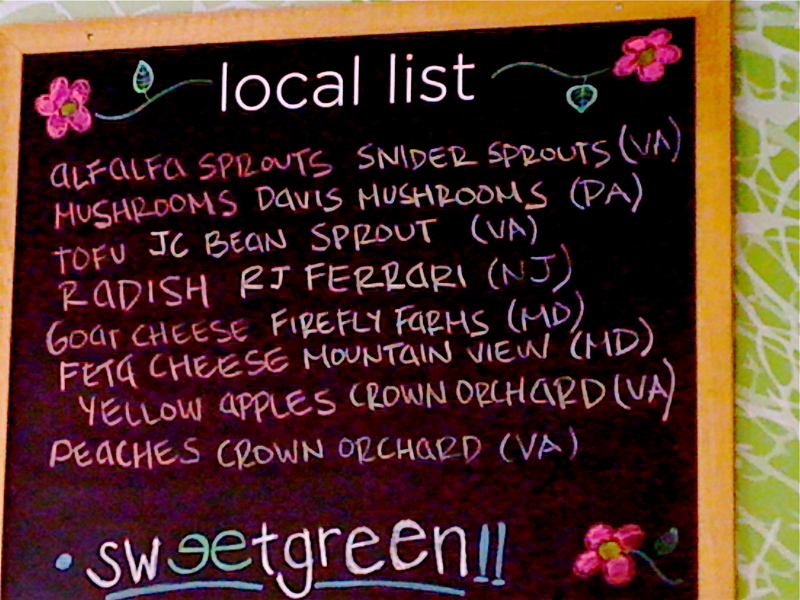 Speaking of local (check my last post), they featured a list of where their fresh foods came from. I was instantly a Sweet Green fan. Yummy fro-yo! They only have one flavor there but that’s all they need because it’s so good! 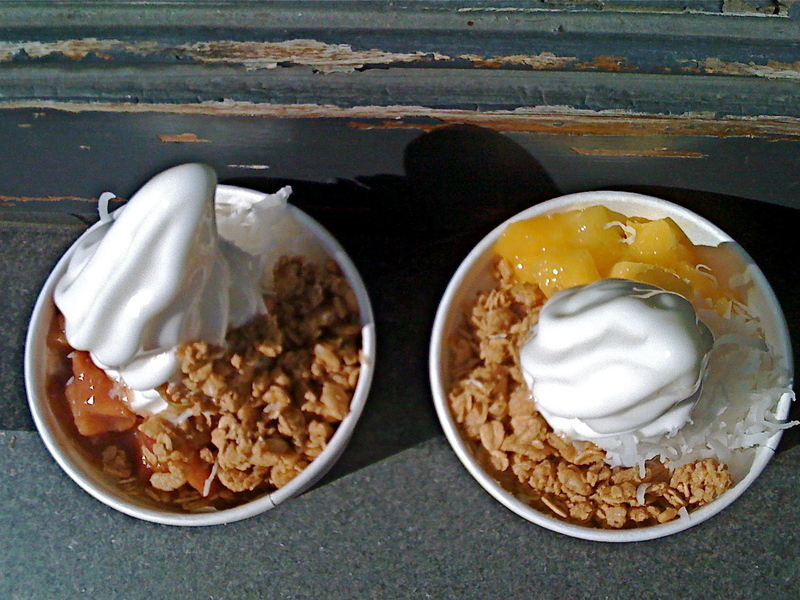 We each topped our yogurt with granola, coconut and fresh fruit. Mine mango, and Danielle cinnamon peaches. Delish. 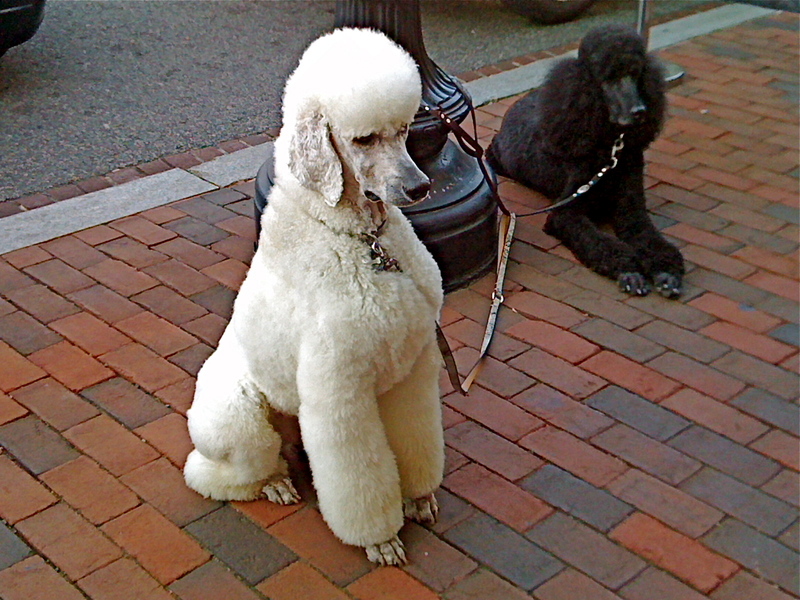 On our walk we stumbled across this doggy duo. I think the picture of this savvy pup says it all. Now for the explanation of my post name, Go Greek. 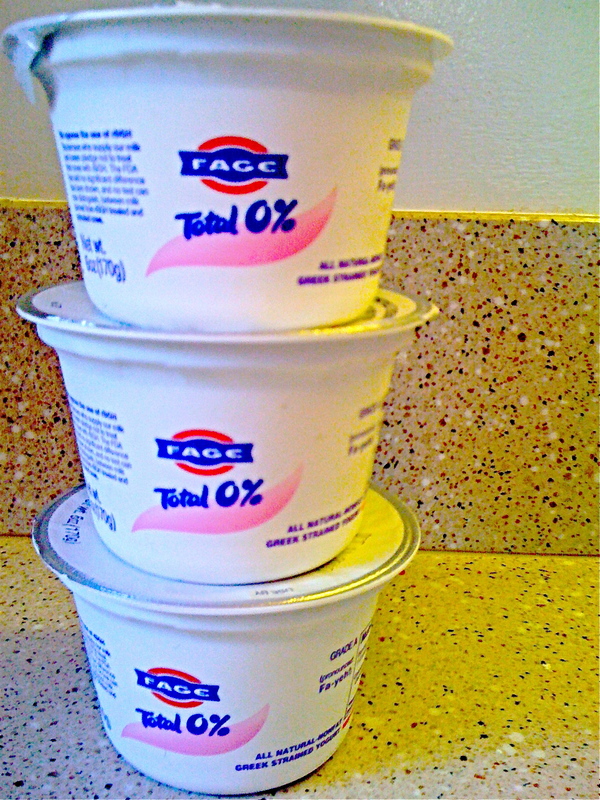 This Friday Whole Foods was having a one day sale on my favorite Greek yogurt, Fage (pronounced ‘fa-yay’). It’s usually pretty pricey so the 10 for 10 deal was calling my name. 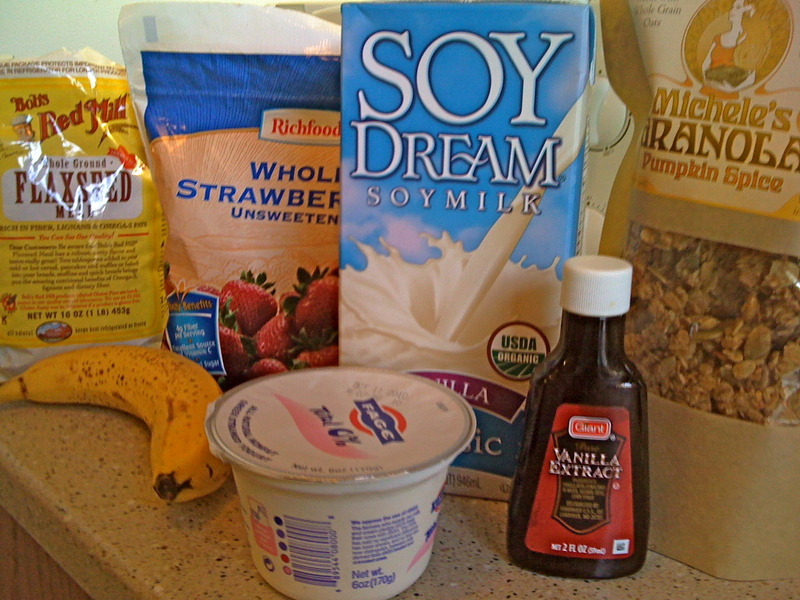 There has been a lot of hype about Greek yogurt because of the great nutrition it provides. Compared to regular yogurt, Greek has almost twice the amount of protein! I love it because it’s extra creamy and tasty, and still low in fat. The flavored versions can be high in sugar so I try to buy the plain, and add some fresh fruit and either nuts or low-fat granola. 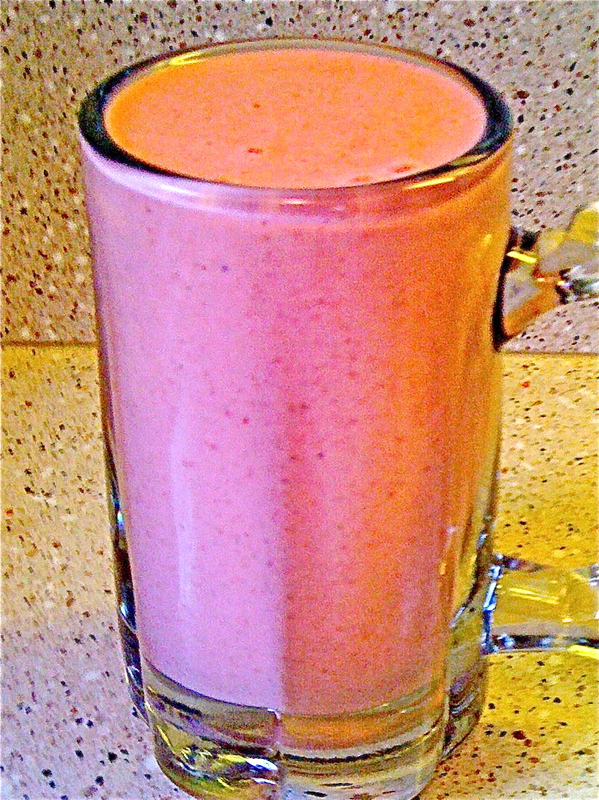 After I got over the excitement of this great deal it was time to whip up one of my favorite treats: a smoothie! Using Greek yogurt in smoothies gives it a thicker consistency and since it provides so much protein it’s perfect for a well-rounded meal. I had trouble choosing a flavor for my smoothie this morning, so I played it safe and chose strawberry-banana. Banana because they’re great in smoothies! Frozen strawberries-I use them instead of ice. Better texture and added nutrients! Speaking of granola, I have to mention this awesome brand introduced to me by my fellow dietetic intern and good friend Dara. 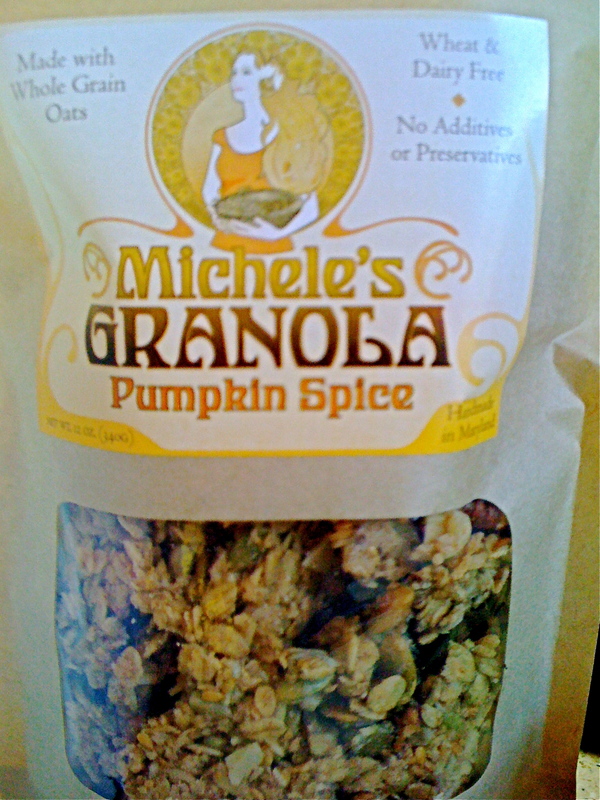 Michele’s Granola is local (her company is in Baltimore), minimally processed and soo good. A must-buy! Finished smoothie! Perfect start to a perfect day. PS- More info to come about fro-yo like the one mentioned above. For now, check out this article on the Diet Diva’s website for advice on how to eat it in a healthy way.